The Education Committee heard testimony March 20 on two bills intended to ensure that Nebraskans graduate high school with basic civic knowledge and skills. 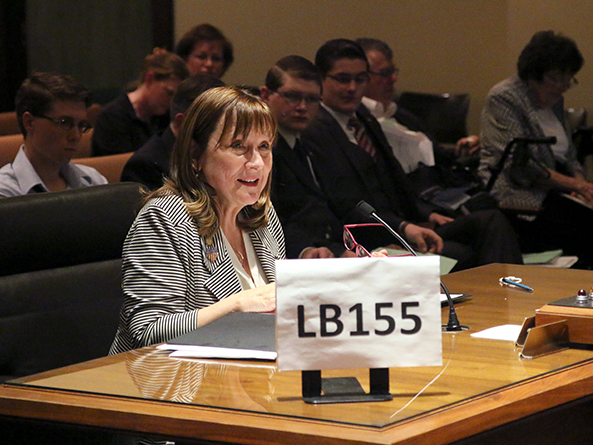 As introduced by Sen. Lydia Brasch of Bancroft, LB155 would require Nebraska high school students to answer correctly 70 percent of the questions on the civics portion of the naturalization test used by the U.S. Bureau of Citizenship and Immigration Services as a prerequisite to graduating. Brasch brought an amendment to the hearing that would limit the requirement to public schools. If immigrants are expected to learn the content on the exam before becoming citizens, Brasch said, then citizens who are born and educated here should learn it too. Nancy Carr of Lincoln testified in support of the bill, saying that the exam would highlight what students do not know about American history and government, helping teachers focus on those areas. She said all American students should be required to know their rights and responsibilities under the Constitution. “I fear that the majority of students at this point would not be able to pass even that very elementary exam,” Carr said. Testifying in opposition to the bill was John Bonaiuto of the Nebraska Association of School Boards. He said Nebraska’s social studies standards already are designed to teach students to become patriots who have an intellectual understanding of the country’s founding principles. 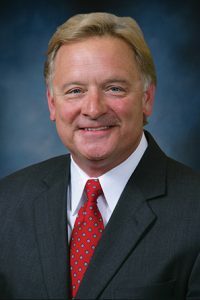 LB14, as introduced by Omaha Sen. Bob Krist, also would have required passing the civics portion of the Bureau of Citizenship and Immigration Services naturalization exam as a prerequisite to graduation. Krist brought an amendment to the hearing that instead would require the school board in each district to create a committee on American Civic Competence and Engagement, currently named the committee on Americanism. Each new committee would ensure that the district’s social studies curriculum teaches and assesses foundational knowledge in civics, history, economics and geography. The naturalization exam would be included in those assessments, but passing it would not be a prerequisite to graduation. Krist said the bill would update the state’s McCarthy-era Americanism statutes to reflect modern social studies standards. LB14 maintains local school districts’ control over curriculum while creating a baseline for civics education that would provide students the fundamental knowledge they need to become well-informed, engaged citizens, he said. “Students who have a strong foundation in the democratic values of America’s history are in turn well-positioned to contribute to society,” Krist said. Barry Thomas, president of the Nebraska State Council for Social Studies, testified in support of the bill as amended. Foundational knowledge — assessed on the immigration and naturalization exam — is important, Thomas said, but social studies curriculum also should ensure that students can apply that knowledge. LB14 would require social studies curriculum to include the discussion of current events and controversial issues, service learning and simulations of democratic processes, among other activities, he said. “It’s not just knowing the information — it’s being able to communicate what you understand about the information,” Thomas said. Maxwell Smith, a freshman at Southeast High School in Lincoln, testified in opposition to the bill, saying that it would weaken current Americanism laws.